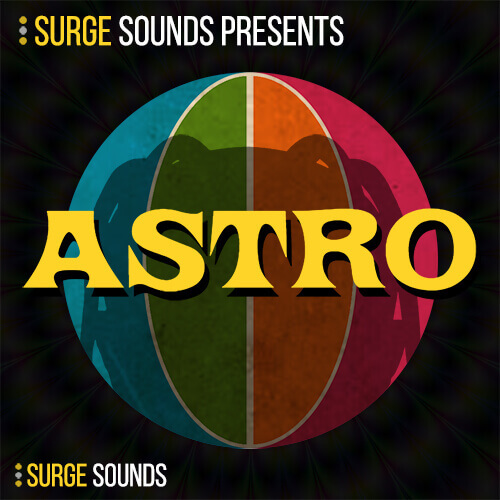 ASTRO, presented by Surge Sounds, is a Travis Scott inspired collection of Hip Hop Hybrid Serum Presets & Kits for the modern producer. With millions & millions of plays on Spotify, YouTube & Soundcloud, Travis Scott has been selling out arenas with his innovative & modern take on Hip Hop. Currently SICKO MODE alone, from his album ASTROWORLD, has over 291 million plays on YouTube. We set out to capture the core of this innovative & modern take on Hip Hop and provide it to you in a single innovative sample pack. 100% Royalty Free. Inside this pack you will find innovative Hybrid Serum Presets, modern drum loops, creative melody loops, crisp drum oneshots, soulful vocal oneshots, quality MIDIs, unique FXs and more. All created with maximum care that will for sure take your productions to the next level. This soundbank is loaded with Hybrid Serum Presets with 64 Custom Wavetables from Lofi Strings, Lofi Pianos, Lofi Rhodes, Lofi Acoustic & Electric Guitars, Lofi Organs, Mallets, Bells, Trumpets & more. With 4 macros assigned on every preset you can always stay in your creative zone while tweaking to match them your artistic sound. These macros include vibrato, filter, reverb, chorus, delay, detune, lofi, drive, sub all giving you ultimate expression, control and creativity. This release comes with 64 modern presets & 64 Custom Wavetables for Xfer Serum, 6 Full Hip Hop beats in 3 chart-topping construction kits, 331 powerful loops & 112 top notch stems, 49 engaging melodic & drum MIDI files & 23 crisp drum samples all production ready for you to dive into and give you an edge in the Hip Hop scene. Expertly designed MIDI is one of the most powerful tools for a producer but is also the hardest to find so we included 49 MIDIs in this pack. They include not only Melodic MIDI, but the even more rare to find Drum MIDI. To complete this collection you’ll discover 23 crisp drum one shots from the demo. They have been processed and are production ready to be dropped into your session. If you are looking to arm yourself with powerful sounds for your next Hip Hop beat, this pack is just for you!